3 prop blades get the job done for this Pitts! Spiffy paint scheme too! The prop is the only airfoil that moves at incredibly fast speeds (on general aviation aircraft), on some aircraft the propeller tip travels near super sonic, hence the loud noise you hear as these aircraft zip past. Seaplanes typically have longer/thinner propeller blades, which as you would expect, make a great deal of noise. To this day I’ll never forget the bright orange Cessna 185 on floats that shared a lake with the place where I learned to fly float planes up in Alaska all those years ago! The noise was unmistakable, very overpowering, yet it always brought a smile to my face. Changing this habit isn’t that difficult either. Most pilots have a checklist handy in their aircraft, whether or not they are carrying it with them for the preflight (which is a topic for another post)… Using the edge of a checklist will do the same job and allows you not to risk your own flesh and blood, literally, to check the propeller. 2. Knock, knock, who’s there? Damage to the leading edge of the propeller as a result of debris being pulled in by the propeller spinning so quickly over the ground isn’t the only thing that can cause “prop issues”. This one, I’ll admit may seem trivial, but once you see something happen you never forget. How often do propellers fail in flight? In reality, it is very rare. However I have flown with two different people who have experienced this phenomenon. One of the gentleman, a former flight instructor student of mine, had a few inches of propeller blade depart his Tobago in flight. With some vibration, they were able to land safely, and have the propeller replaced. The second story was a bit more dramatic! The date was June 6, 2006, written differently, 06/06/06. Take that for what it’s worth… A friend of mine was providing a pilot an Instrument Proficiency Check, when on the missed approach, the majority of one side of the Cessna 172’s propeller decided it had had enough and departed the aircraft. The massive imbalance created a dramatic vibration. 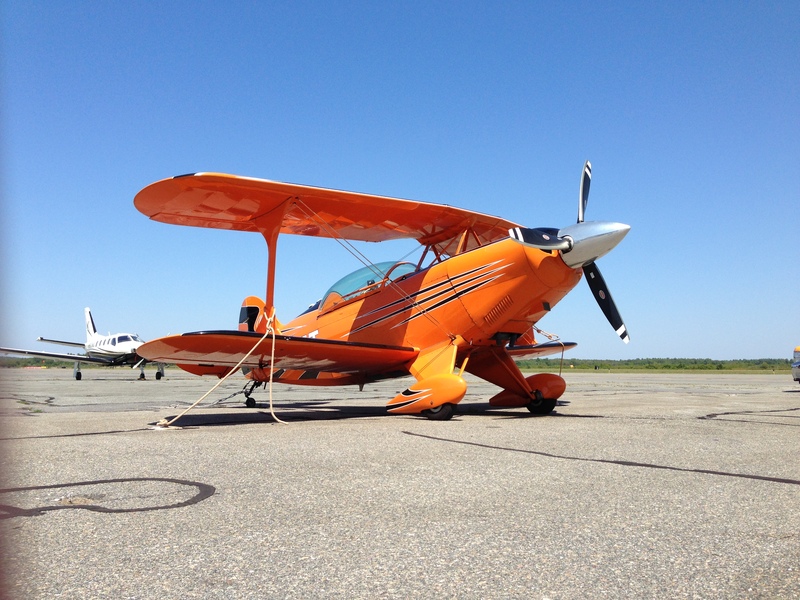 My quick-thinking CFI friend (who had previously dealt with a safe impossible turn due to the complete loss of oil from the engine of a Cessna 152 he was flying) quickly pulled the mixture to stop the vibration, a move that would prove crucial to their safety. Upon executing a turn around, my friend landed the aircraft safely on a runway. It wasn’t until they disembarked the aircraft that my friend and his fellow pilot saw the magnitude of what had happened. As it turned out the Cessna 172 has four (4) engine mount points. Due to the massive vibration, three of these were compromised, two completely broken… His decision to “kill” the engine when he did, likely saved their lives. Cessna/McCauley determined that a manufacturing defect inside the propeller caused the issue, roughly 3 years into the aircraft’s life as a trainer… Whether or not a knock would have found the issue, I don’t know, but every time I fly, especially in a new (to me) aircraft, I always make sure to here the bell sound when I knock on the prop! 3. 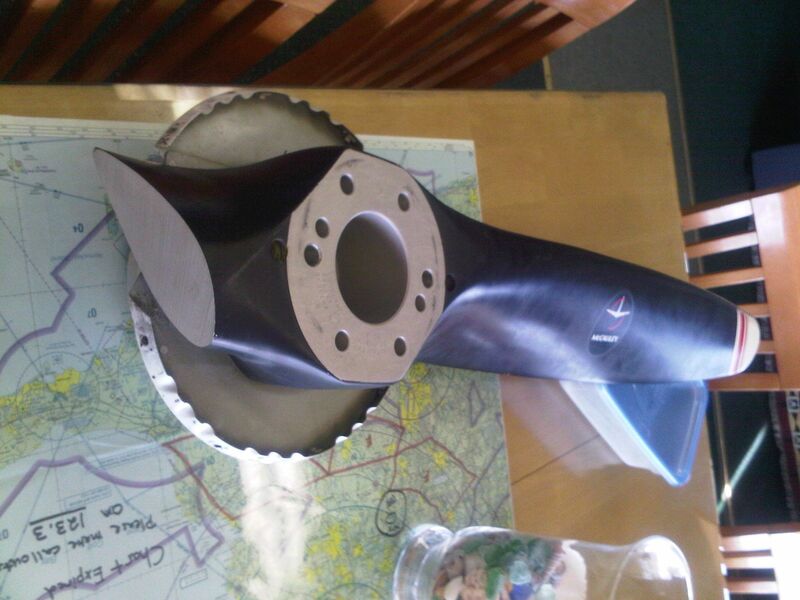 Always double check that there is nothing obstrcuting your propeller before you crank the engine! But typically, the error is noticed much earlier than that. My favorite story is of a pilot who completed an extremely thorough preflight before any flight. This pilot finished his near 20-minute inspection of his own aircraft, then climbed aboard and went through his preflight checklist procedure inside the cockpit. He was in the second row of aircraft from my vantage point, which prevented me from seeming his cowling plugs still in the cowling openings as he yelled “clear”. 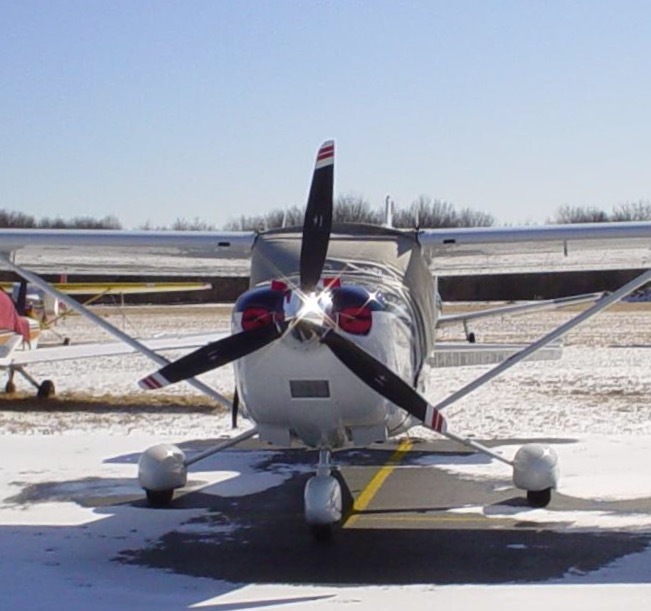 As an prudent pilot, I turned to see which aircraft was starting and immediately upon his cranking the engine, the turn of the prop sent his cowling plugs flying through the air, landing in front of an aircraft parked three spots down the line from him! I went over and retrieved the plugs for him as he, in a very embarrassed state, climbed out of his aircraft. I handed him the mostly, intact plugs and he thanked me. He told me he always wrapped the connection strap between the two plugs around the propeller so that when he made this mistake they would come off… He knew it would happen eventually. I don’t believe he ever did it again though, I think he learned his lesson. Even on a cold morning, when leaving the plugs in after preheating his aircraft, he never again forgot what happened to him that day. After witnessing that, neither have I! Cowling plugs are a great way to keep critters out of the engine cowling, though not all of them are designed like these ones with little warming flags, visible form the pilot’s seat to alert the pilot they are about to start up with the plugs still installed! Remember, these are just some tips… The definition of learning is a change in behavior as a result of experience. I am a firm believer that the experiences you learn from don’t always have to be as a result of your own actions. I whole-heartedly believe that I learned to always double check things from seeing others commit the acts. I always double check the cowling plugs are removed because I remember watching that set soar across the ramp at Mansfield on day many, many years ago. Similarly, when flying an aircraft that gets plugged in for the night during the winter to run the oil pan heater, I would triple check that the extension cord was unplugged. I watched too many instructors taxi aircraft out of the ramp with the 25′ or 50′ extension cords trailing behind them and saw as they all very embarrassed shook their heads, when the dispatcher noticed them taxiing by the FBO’s windows.